For too many years of my life I assumed my actions affected me and only me. So what if I chose to drink away my pain? So what if I messed up, got arrested, and got sentenced to many years in prison: I’m the one doing the time, or so I thought. I couldn’t see beyond myself and the consequences I’d reaped on myself to see the pain in the faces others who love me – not to mention in all the victims I created while living my life of crime and addiction. My parents did the very best they could to raise my brother, two sisters, and me. They worked hard, bought us presents for every birthday and Christmases and spent quality time with all of us on a daily basis. We were never considered middle class from a financial standpoint, but I never felt as though I lacked anything that my middle-class friends had. I added this context to show how my actions were strictly of my own volition – my parents raised us with values. 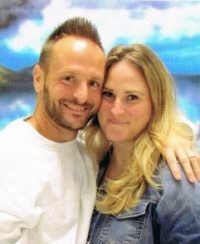 So, when I came to prison at 19, my parents should have felt no guilt for my predicament; but what do you think actually happened? Naturally, any parent is going to question why their son (or daughter) went wayward, what they think they could have done differently to change the path I’d taken. My decisions tortured them, kept them up many a night, and brought them to experience agony they did not deserve. They were now put in the unfortunate position of visiting their son in this god-forsaken place, often times being treated like a criminal themselves when they came to visit. They were compelled to now support me, not by giving me money for a birthday or Christmas but helping me buy commissary, hygiene products, and paying for phone calls. They did not deserve this – they never did. Now, they are both gone, and this is the last place they were able to hug their son. My twin brother, sisters, nieces and nephew have likewise had to come into prison for 15 years (plus three more on a previous prison stint) if they wanted to see me. They are forced to celebrate my birthdays by sending a card — not taking me out to dinner or otherwise. If they want to talk, they have to pay $4.80 for 30 minutes. My nieces and nephew have not had their uncle at birthdays, Christmases, graduations, and so much more. I have been forced to watch them grow up through pictures. My family has been nothing but law-abiding citizens their entire lives and by no means deserve to be subjected to this situation. But because they love me, they would never leave me for dead. Yet, they do not deserve what my actions have put them through. My victims and their families did not ask to have their lives shattered by the tragedy that I solely produced 15 years ago. Their lives were cut short, never able to reach the full potential they possessed. Future generations of their families will never meet them and come to know the beautiful souls they had. My addiction, recklessness, and complete selfishness severely altered their lives forever. They were doing everything right; I was doing everything wrong, and now they are not here but I am. How is that fair? I obviously cannot answer that, but what I can say with absolute certainty is they – none of them – deserved what I did to them. For many of us in prison, because we are the ones physically secluded from society and deprived of any semblance of freedom, we equate this with the notion that we’re the only ones truly affected by our bad decisions. But as I have outlined here, this is simply a misguided, narrow-minded viewpoint. Our families, friends, significant others, victims (obviously), and many others are affected by the costly decisions we make. Coming to prison is a burden on so many people who never did anything to deserve it. The sooner I was able to realize this truth, the sooner I was able to start to rehabilitate. Cognitive classes, church, and educational courses are all positive ways to spend one’s time in prison, but without coming to terms with the massive ripple effect left in the wake of our coming to prison, true rehabilitation and accountability will be impeded.